The Single Largest Purchase You Will Ever MakeEliminate The Muda! What is the single largest purchase you will ever make? When you think about what you will spend most of your hard earned money on during your life most people think first about the examples above. Though each is expensive, the single largest expense of your life is your going to be your retirement. Most of us don’t think about having to purchase our retirement. But if we don’t, who will? Most have been raised with the belief that social security will be waiting for them at the end of their career. Depending on which prediction you want to put your trust in, social security will likely be out of money by 2040 and possibly sooner. Who knows what changes will be made to help stretch that fund but odds are we are not going to live a comfortable life on social security regardless of how much or little is available on the day you retire. The days of a traditional pension are quickly fading. According to the Pension Benefit Guaranty Corporation between 1985 and 2008 enrollments in traditional plans fell 27%. Of those plans, 17% are under a “hard freeze” meaning they are no longer accepting new participants. An increasing portion of our population have been enrolled in a defined contribution plan (think 401K) where you are responsible for contributing to your own retirement. Even with these employer sponsored plans there is less and less assistance by companies. So on the one hand, there is less help establishing or building your retirement nest egg. On the other hand, the average age of our population increases each year. Recently a study released predicted that the half of the people born in the 1980’s will live to be 100 years old. More and more our nation’s population is surviving in retirement 20-30 years or more. A longer retirement means a greater need for financial resources, not to mention greater likelihood of more medical care during this period of your life. What kind of lifestyle do you want to live in your golden years? Does the thought of sitting on the porch in a rocking chair appeal to you? Is it still appealing if it is a rocking chair on the front porch of a government subsidized retirement home? If you like the idea of a rocking chair, I don’t blame you. It actually sounds quite appealing to me as well. To be truly comfortable though, my rocking chair needs to be on the front porch of my home that is owned free and clear. The choice to be in that rocking chair versus on a cruise or pursuing a favorite hobby is also important. To have a choice though, requires a sufficient reserve of financial resources. 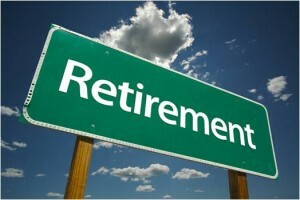 Your retirement will not be inexpensive and purchasing the retirement you want is ultimately your responsibility. Do you have a plan to get there?